As a quality-focused company, we are highly engaged in supplying to the patrons a quality assortment of Diamond Powder. The provided powder is well processed using advanced tools and techniques under the strict observation of our dexterous personnel in compliance with the set quality standards. This powder is widely used in numerous industrial applications. In addition to this, our esteemed clients can avail the offered powder from us at market leading prices. We “Amardeep Enterprise” are a Sole Proprietorship company situated at Ahmedabad (Gujarat, India), founded in the year 2005, have gained accreditation in the field of manufacturing and supplying an outstanding range of Lapping Machine, Lapping Machine Part, Diamond Paste, Diamond Powder, Polishing Machine, Check Light Machine, Slurry Pump And Lapping and Polishing Machine. The offered product range is manufactured at our technically advanced production unit by our skilled professionals using quality-assured components and modern technology. Apart from this, provided range is widely demanded among the patrons for its high efficiency, excellent performance, rugged design, hassle-free operations, low maintenance and long life. Furthermore, we have a strict quality control unit to ensure that a defect-free range is delivered from our end. Besides, we have a spacious warehouse at our facility for safe storage of these products. 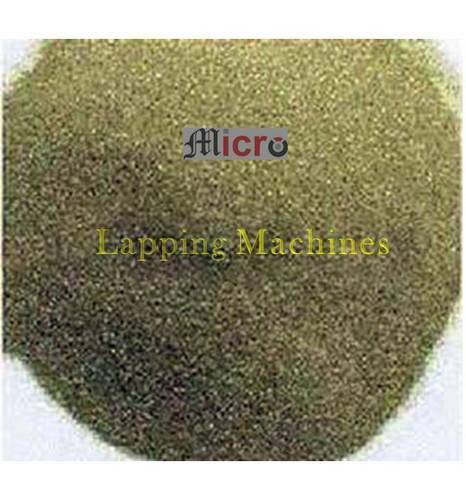 Furthermore, we offer this array to our clients at industry-leading prices.We Are offering our product under reputed brand Micro.